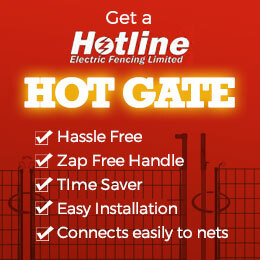 Electric fencing solutions are very effective in containing goats. However, as some goats are naturally insulated by a thick growth of hair it is essential to ensure the energiser is sufficiently powerful to be effective. A multi line system (comprising 3, 4 or 5 lines depending on size and capability of the goats) supported by tread-in posts is usually sufficient to contain goats. Starts/ends and corners are always a problem with temporary electric fences. In order to keep the lines taught use special 3 pronged metal posts or wooden posts with Insulators. A multi-reel system is ideal for both tensioning the tape and storing unused tape. They are also ideal for storing the tape when not in use. Electric netting is fine for containing goats and kids in a smaller area. Nets come are 1.2m (4′) high and 50 metres in length with posts built into the net. Nets can be linked together to create different sizes of enclosure and are easy to move around so the goats can be continually moved to new pasture. Electric netting is ideal for controlling small areas to contain goats. 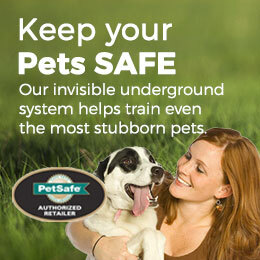 It is easy to move around but as netting is prone to ‘earthing’ (i.e. loss of power) when too much vegetation grows into the net, it is essential to keep the vegetation down under the net. 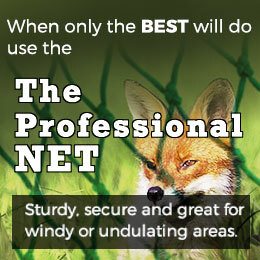 Additional posts may be added to support the net if the land is very undulating. Electric netting is very easy to erect. Simply unroll the net and then tread in each post. More nets may be added to the system simply by linking the end clamps together. However, it is essential to ensure the Energiser you acquire can power the maximum nets you may want in the future. We have created a series of electric fence kits for goats depending on the distance to be protected. 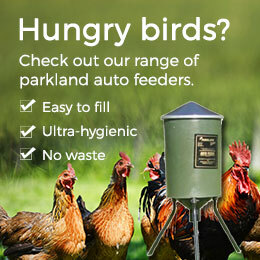 For more information, details of kits, pricing and order information please call us on 01620 860058 or complete the Brochure Request form (brochures can be instantly downloaded or posted to you if you prefer). Help and advice is only a phone call away.